There are numerous ways that you can support Stonyhurst and every donation can be specified to support an individual project, a campaign like our Annual Fund or Stonyhurst as a whole. If you are able to support us financially you could make a single gift to us, or sign up to make a regular monthly, quarterly or annual gift. Many of the Stonyhurst Family wish to support Stonyhurst by leaving a legacy to Stonyhurst. Those of you who wish to support us in this way are eligble to become members of our Thomas Weld Legacy Society. You could also leave a gift-in-kind to Stonyhurst, such as a piece of art or furniture which many of our legacy gifts include. 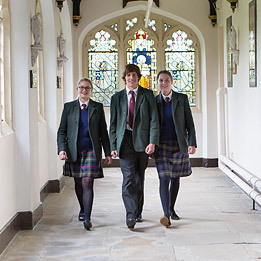 Please view our brochures if you would like to see how you can support Stonyhurst currently, or if you would like to speak to someone regarding a donation or have any questions, please contact us.